If you are thinking about completing your elective overseas but are unsure how to raise the funds, then we may have just the solution. By taking part in the Royal Society of Medicine’s Global Health Young Leaders Award you could win a grant of up to £500 to put towards a medical elective or overseas project. Projects Abroad is excited to begin work on a special Water & Sanitation project in Tanzania and has found the volunteers to do the work. 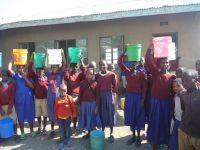 Following the success of several Water & Sanitation Projects worldwide, Projects Abroad and partner BridgIT Water are returning to Tanzania in January 2013 to continue with their life changing work. The six volunteers needed to make the project a reality quickly came forward after the project was announced this autumn. At the end of November all Projects Abroad volunteers in Romania were involved in the Drama Mini Project in Brasov. The project was directed by American volunteer Victoria Waldthausen, who adapted the classic story of ‘Beauty and the Beast’ for everyone to perform. Over the past month Projects Abroad volunteers have been very busy helping improve the quality of life of the Talibés in Senegal. Projects Abroad volunteers work with several Talibé centres throughout the year and we fund a variety of programmes, from free breakfast schemes to Micro-finance loan projects for older Talibé students. A group of students and teachers from Grangemouth High School are joining Projects Abroad to volunteer in Ghana next summer. 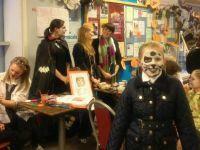 Since their application forms arrived at Projects Abroad they haven’t stopped fundraising for their trip. They have used many ingenious and innovative ways of raising the money to go away. Projects Abroad offers a wide variety of tailor-made elective placements overseas in developing countries. These have been designed specifically to meet the elective requirements and specific specialities of students training to be doctors, dentists, nurses, midwives, physiotherapists and occupational therapists. Conservation volunteers in Cambodia join us throughout the year and often stay for many months, however, staff on the Conservation project are keen to get some extra help to complete a children’s playground on the island before the end of this year. We are therefore also offering a special 2-week long project from the 9th – 22nd December 2012. 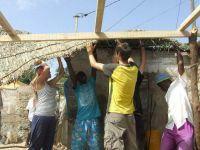 Volunteers needed for Building Project in Tanzania! 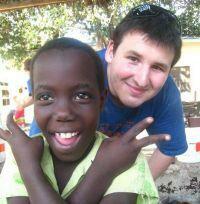 Projects Abroad volunteers in Tanzania have had a busy year! They are coming to the end of a building project in a school in Engikarat, near Kilimanjaro, and in the next month we hope to see its grand opening… Following on from this success we now have even more ambitious plans to build a primary school in the Maasai village of Meserani, south of Arusha. 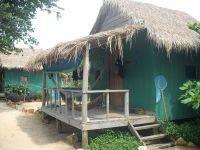 More Volunteers Needed for Cambodia Conservation Project in April! Staff at our pioneering Conservation project in Cambodia are keen to have the help of more volunteers this April. We’ve had a record breaking start to 2012, with 40 volunteers joining the project between January and March; however, we need to keep the momentum and consistency going! Following on from a 3 month placement in Ghana, Harriet Walker has been inspired to take on a new challenge, a round the world yacht race! Here she tells us more: ‘This time last year I had just arrived in Cape Coast, Ghana and given half the chance I would get on a flight back over there tomorrow! It was my three month trip of a lifetime that inspired me to take on my next big adventure – The Clipper Round the World Yacht Race. Projects Abroad volunteer, Virginie Thouvenin, from France, has made an unusual and inventive donation to her care placement in Senegal. Noticing the need for a more organised way of storing the children’s books, she sought out a carpenter in order to install four bookshelves. Conservation Manager, Richard Munday updates us on the exciting Scarlet Macaw project, which forms part of our Conservation Project in Costa Rica: ‘As each month passes we are gradually increasing the rhythm of the Macaw project so that eventually, when we reach April/May we are there 24 hours a day 7 days a week. Our international, community-focused journalism project, Voices of the World is gaining momentum. We have now established Voices of the World clubs in India, Romania, South Africa and Senegal, thus giving the chance to local young people to attend free workshops on journalism and publish their articles in our online publication – www.voices-of-the-world.org. A Recipe for Care Volunteers! Volunteering on a Care project requires lots of enthusiasm, energy and, of course, ideas! Why not dust off the memories of your old childhood games, and share these with the children on your project? 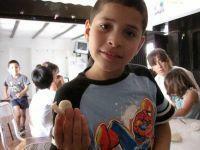 Former care volunteer in Argentina, Line Christensen, did just this and revealed her simple but brilliant idea of making play dough! Due to the success of our placements in Phnom Penh we have now expanded to Siem Reap. Siem Reap is a large town about 5 hours' drive from Phnom Penh and is famous for being the closest town to the incredible temple complexes of Angkor Wat. The Projects Abroad team in Kenya are thrilled to have welcomed their first volunteers onto our Care project - Takuya Yamanaka from Japan and Victoria Strømsodd from Norway! 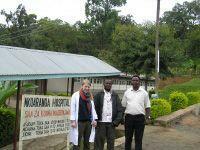 Our Kenya Country Director, Karanja BK, has expressed great excitement about the future of our projects in Nakuru. 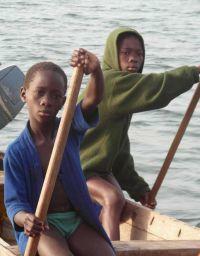 Volunteers often return from their projects overseas inspired to do more. Many stay in touch with their placements and host families, some raise money to make donations of books or toys and some volunteers even start planning their return trip. Take our Volunteer Motivations Survey! Projects Abroad is currently carrying out a survey in conjunction with Massey University in New Zealand in order to find out the motivations of our volunteers. Whether you are on a gap year, at university, on a career break, or even a retiree, we would like to know what made you decide to volunteer! The Royal Society of Medicine (RSM) is giving a £700 grant to two volunteers taking an elective placement in the near future. The Royal Society of Medicine gives a series of grants throughout the year and they are now looking to award grants to two elective students to tie in with their campaign on Global Health. Booked your project? Thinking about fundraising? Your journey with Projects Abroad is on the horizon, you are just wondering how to get there... Do not be overwhelmed by the money you need to raise! This is the first challenge that you will encounter as a volunteer, and raising money is a great way to utilise your creative skills.